South Jersey police have made an arrest in Saturday's bank robbery at a PNC branch in Gloucester Township. Tipsters helped identify 37-year-old Timothy J. Givens of Sicklerville from surveillance video released to the media. 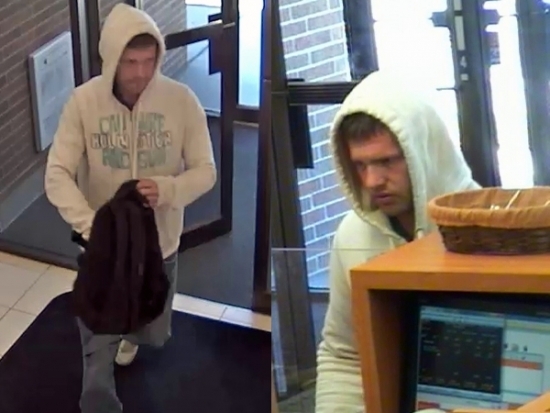 Givens robbed the bank on the 900 block of Black Horse Pike on Saturday morning of an undisclosed amount of cash. Camden County Sheriff's Department Officers spotted Givens near Cooper University Hospital in Camden on Sunday and arrested him after a short foot chase. He is being held in the Camden County Jail in lieu of bail. Philadelphia Police are looking for five men who robbed a Juniata Park resident of cash and other things including 15 pairs of Jordan sneakers on Sunday evening. It happened around 5:15 p.m. Sunday in the 4200 block of Neilson Street. The victim told police that the five men, all in the early 20's, forced their way into his home with a gun. They took $1,000 cash, jewelry, two iPhones, and the sneakers. They got away in a white Chevy Cobalt. No one was injured. The incident remains under investigation. This afternoon at Lincoln Financial Field, the NCAA Men's Lacrosse Final Four culminated in the Championship game in front of a crowd of 24,215 fans. No. 4 Denver matched up against No. 6 Maryland. This was Denver's first appearance in the final and Maryland's 3rd in just the last 5 years. However, Denver's offense was too much for Maryland's top ranked defense today. Denver finished the day on top winning 10-5. They become the first team west of the Mississippi to ever win the D1 title. Maryland's woes continue despite perennial success. Their championship drought is now 40 years. Maryland sophomore attackman Matt Rambo, a LaSalle College HS alum from Glenside, led the Terps with 2 goals, 1 assist, and 8 shots.